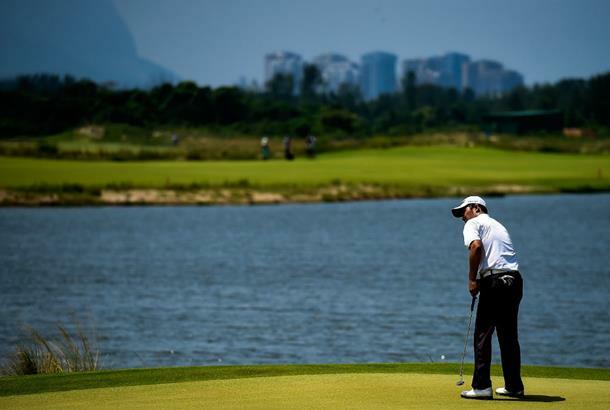 On the same day three-time major champion Vijay Singh announced that he wouldn't be competing in this year's Olympic golf tournament due to scheduling issues and his concerns over the Zika virus, another issue emerged that may encourage more players to steer clear of Rio this August. Several large alligators have been spotted on the Olympic golf course, traversing the course and dipping in and out of water hazards. 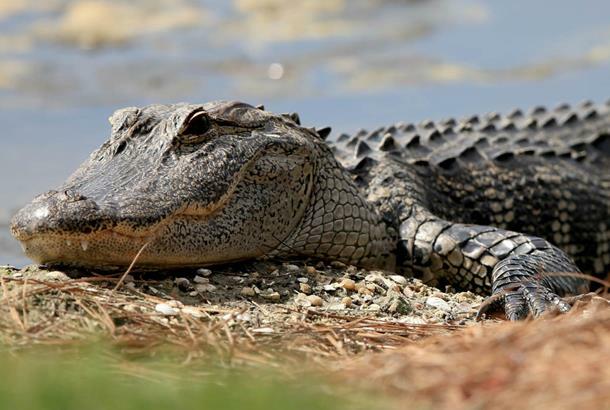 The course was built in an area surrounded by lagoons that are home to several species of wild animals, including alligators, according to local media reports. "We’ll have a strategy in place that will minimize any possibility of a player or spectator coming across these," said Anthony Scanlon, executive director of the International Golf Federation. "The other thing to remember about these alligators is, if they do arrive, they arrive at night and we won’t be playing golf at night. I don’t think we’re going to get a bite." The water looks nice, but what's in there?